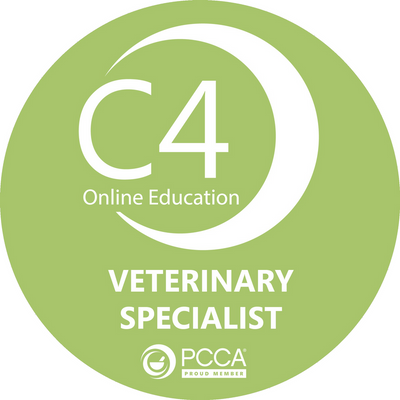 San Jose Compounding Pharmacy is proud to announce that it has achieved a prestigious Certified C4 Veterinary Specialist designation. It means that our staff has completed a rigorous training which comprises of two components: An online home study containing ten modules on veterinary pharmacotherapy as related to compounding, and two day laboratory experience that focuses on compounding for different animal species. The online component covers veterinary drug information resources, anatomy and physiology of animals, and legal and ethical requirements of compounding for animals. The course then takes an in-depth look at disease states and drug therapy for various species including canine, feline, equine, and exotics. The course trains students in comprehensive veterinary pharmacotherapy and applications of compounding for veterinary patients. During the two day laboratory experience students complete reading assignments, case studies, and practical hands on training in Veterinary Compounding at Houston Zoo. At San Jose Compounding Pharmacy, we take pride in keeping your pets healthy, happy and full of life! We work together with veterinarians and their clients and patients to solve medication problems by compounding specialized medications that meet the unique needs of each animal. We strive to make treatments in animals easier and more efficient for veterinarians and pet owners. We at San Jose Compounding Pharmacy prepare our compounds from scratch and prepare them for each unique individual. Just like you, your pet is also unique. We customize to each individual pet needs. Compounding is an age-old practice of creating customized prescriptions. Compounds can be made into delicious treats from tasty chewable, to flavored suspensions. We also offer transdermal gels that can be applied to the ear. Compounded medications make it easier to administer treatments. We at San Jose Compounding Pharmacy make high-quality custom compounds and work with pet owners and veterinarians to ensure optimal treatment. We can also help with very bitter drugs by compounding a form that has a milder taste. Some pets like it sweet, some like it meaty. Whatever your pet wants, we aim to please. Our Pharmacists are aware of drug stability in various forms. Once determined certain bitter drugs can be suspended into a liquid to make the medicine more flavorful. We offer a variety of flavors to please pets. Medicines are bottled with an easy to use cap to prevent waste and mess. An oral syringe is also provided. Practically any drug can be put into a capsule for pet medications. We customize dosages and compound combinations of medications in one capsule so that pet owner may only have to administer medications once. We are aware that giving animals the smallest capsule is easiest. Therefore, we have a variety of colors to choose from. This simplifies matters for patients on multiple medications. Transdermal gels are an alternative to giving medications orally. The gel is rubbed into the hairless area on the inside of the animal’s ear. The medication is absorbed through the skin. This is an option for pets who have difficulty swallowing and/or refuse oral medications. Transdermal gels delivery results that make it easier for pet and pet owner. Keep in mind not all medications can be administered in this way. Call and discuss your questions with one of our Pharmacists. 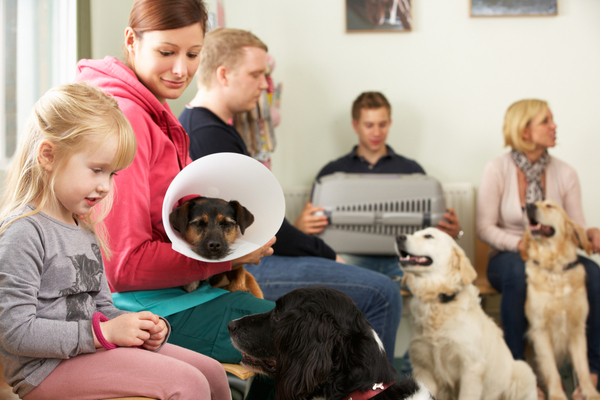 It has been estimated that otitis in dogs is the third leading reason for a veterinarian office visit. It is also well known that about 75% of treatment failures are due to non-compliance. This remarkable new treatment option eliminates the issue of non-compliance as well as solving a number of other problems associated with otitis treatment. One application by the veterinarian continuously releases the prescribed medications for 5 days. A return visit in 5 days will confirm a 98% cure rate. We incorporate the prescribed medications into a well known safe vehicle which is liquid when administered cold but forms a tissue adhering gel at body temperature. This vehicle has been used safely for years and is known to enhance absorption of drugs through the skin and or mucous membranes. It is so safe, it has been used to occlude coronary arteries during surgery. Call our veterinary Hotline: 408-296-5015 with any veterinary compounding questions.